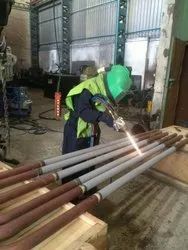 We have gained immense expertise in providing cutting edge Thermal Spray Coating Services to our clients. All these services are executed by our professionals as per the specifications of our clients and industry requirements. 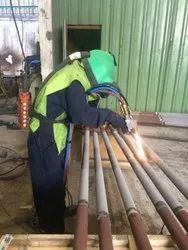 We use ultra-grade metal, powder and other raw material for thermal-spray so as to ensure quality of our services. 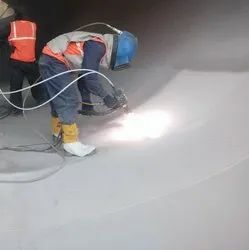 It helps to maintain the shine of the products under operation as well as ensure their high resistance to corrosion, abrasion and alluring finish. Furthermore, our services are highly cost-effective, prompt, reliable, flexible and timely executed. Owing to these features of our services, we have been able able to successfully cater to the demands of a huge clientèle. 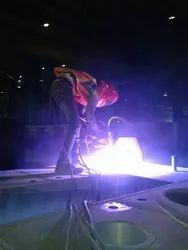 Thermal Spray Aluminium Coating on Derricks.